The beginning of this episode is very jumpy hitting all the points the fans wanted answers to. We see everyone doing their jobs, yes everyone actually does work on Team Flash. The largest Breach is inside of Star Labs and they are working on ways to get through it into Earth 2. We also are dealing with the West Family Drama. Finally we have the actually storyline for this episode, The Cold Family Drama. Add a little Patty cuteness and this episode had me squealing like it’s Christmas Eve! The last time I felt this way with an episode was watching Season 1 Episode 15 “Out of Time”. Barry in his lab, while Iris on the hunt for the story; although in this moment, she’s the one being hunted. We are thrown into the action of gunshots, speed, and leaps of faith. Our hearts race with action and laugh with humor. 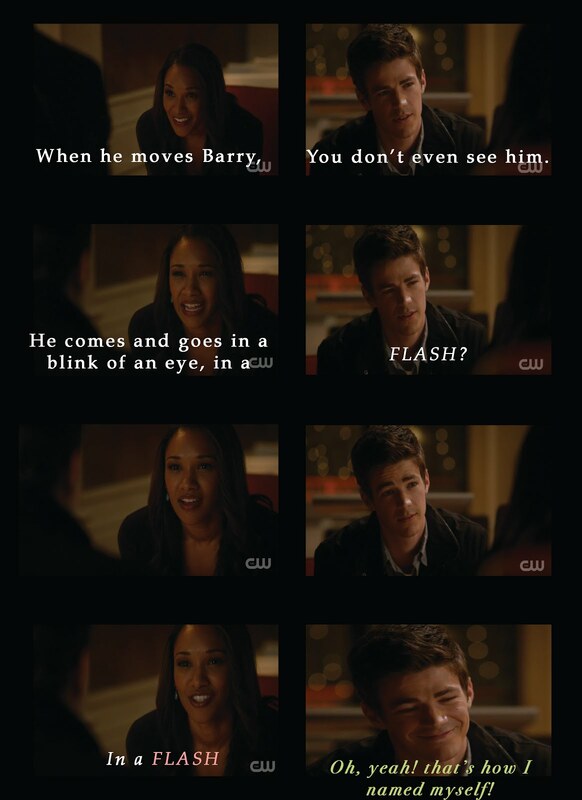 The interaction between Iris and the Flash is cute, funny, and sweet. The Main Storyline starts with Lisa Snart, the dastardly evil Sister Cold, worms her way into our hearts with the worry for her Brother. The sibling relationship between these two are so very strong and protective, many wish they had the same relationship. I’d be evil if I could have a brother like that! LOL! Lisa requests the Flash’s help because she saw her brother being abducted, but they soon find out Captain Cold is working with his Father. Daddy Snart is an abusive @$$, who injected his daughter with a bomb to force his son to work with him. Barry tries to help Cold and finds himself participating in a heist, while the Team works on extracting the bomb from Lisa’s neck. There are several moments of What? WHAT?! That are truly entertaining and surprising! The rest of the episode has plenty to offer, including: Iris’ mom is desperate to see her daughter and Joe is desperate for her not to and keep his secret. It’s difficult to understand a parent telling their daughter that their other parent died when in reality they just abandon them. At first glance and personally for me, if I was the child that was lied to, I don’t know if I would be forgiving as Iris is. As Joe explains to both Iris and Barry, you actually feel for him. That’s where the writing and the acting truly pays off, when you feel for a character despite the fact that you could never do something like that they did or forgive them for doing it. 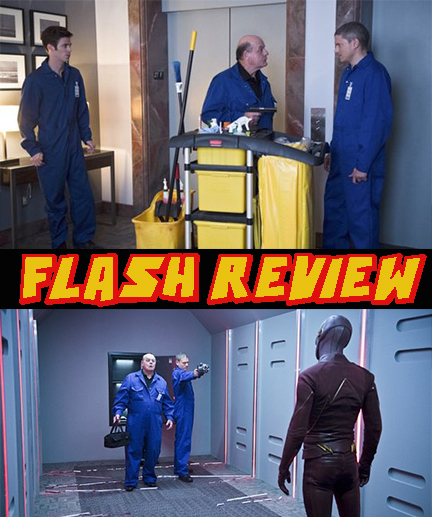 At the end of last week’s episode we found out there are 52 Breaches, and the largest one is inside of Star Labs. At the beginning of this week, we get to see it for the glooping glob of pulsating energy that it is. The Team, which includes Barry, Cisco, Caitlin, Jay, and the weak, but semi well Dr. Stein, spitball a few ideas, along with some comedic actions (Barry trying to speed into the Breach and flying backwards) and one-liners (Thank You, Cisco). At the end of the episode, we extensionally came full circle. We have a way to pass through it, with the Speed Cannon, and something is terribly wrong with Dr. Stein again. Finally we end with Harrison Wells coming through the Breach in Star Labs… Cisco I think you need to upgrade the security system again!